Amplex-Emirates LLC was awarded a pilot project by Dubai’s Electricity & Water Authority to install a battery energy storage system at the Mohammed Bin Rashid Al Maktoum Solar Park in Dubai; the first energy storage system paired with a photovoltaic plant at a grid-scale level in the United Arab Emirates. Sunel Group, a world-renowned EPC contractor and developer, signed a comprehensive cooperation agreement with Huawei Smart PV in Huawei Shenzhen Headquarter. In a press conference held in Dubai, HE Saeed Mohammed Al Tayer, MD & CEO of Dubai Electricity and Water Authority (DEWA), announced details of the 20th Water, Energy, Technology, and Environment Exhibition (WETEX 2018) and the 3rd Dubai Solar Show. 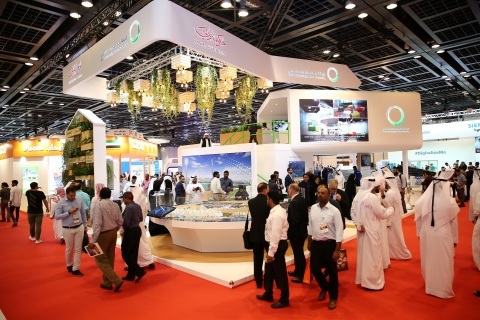 DEWA organises the two exhibitions at the Dubai International Convention and Exhibition Centre from 23 to 25 October 2018. WETEX 2018, under the theme ‘At the forefront of sustainability,’ will be the biggest in the exhibition’s history, covering 78,413 square metres. It will host 2,100 exhibitors from 53 countries. WETEX is the largest of its kind in the region and one of the biggest specialised exhibitions in the world. It has become an annual event for regional and international companies in the energy, water, clean energy, environment, oil, gas, green development, and related sectors, to showcase their solutions and products and discuss best practices, and latest technologies and innovation. WETEX and the Dubai Solar Show provide companies with the opportunity to promote their products and services and meet officials and investors from around the world to make deals and establish partnerships. Exhibitors and visitors can explore the latest technologies in these vital sectors, as well as identify market needs and key current and future projects in the region, especially in light of the increasing adoption of clean and renewable energy in the UAE and the region. Visitors can also benefit from the busy agenda of seminars, session, workshops and specialised events that host experts and specialists from around the world to discuss the development and adoption of solar energy in the region to achieve the sustainable development. A number of environmental activities and community activities to raise awareness on the importance of conserving energy, and promoting sustainable development and green economy also form part of the event. For AlsoEnergy, the top selling independent monitoring provider for commercial PV in North America, this partnership is an opportunity to extend international coverage for sales and support. The Palestinian Energy Authority and the World Bank launched today the Gaza Solar Revolving Fund, a pilot aiming to install rooftop solar energy in Gaza for residential consumers, businesses and hospitals.